Sunday Quote!- Making a Composite Jesus | J.W. Wartick -"Always Have a Reason"
The authors go on to note that our view of Jesus is not only formed buffet-like from imagery found in the Bible, but also through various ways the culture has influenced us to think about Jesus. What are some of the ways that your picture of Jesus may have been shaped by extra-biblical imagery? How might we find the composite Jesus we have created that often stands alongside us as we try to read about Jesus in the scriptures? 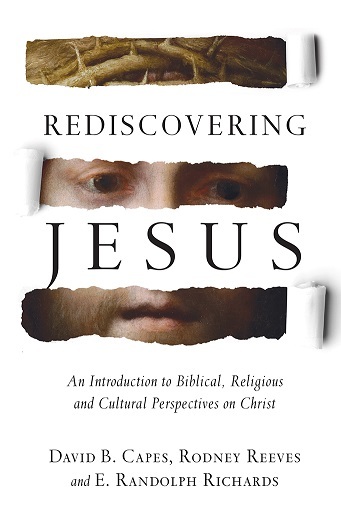 Rediscovering Jesus is full of insights like this, and I highly commend it to you, dear readers. « Really Recommended Posts 9/25/15- Biblical language preaching, mosques, “War Room,” and more! Yes, it is excellent. I need to finish writing the review yet, but I was shocked by how great this book is. I didn’t have any expectations going in and I was blown away.